Pine Cone Branch Welcome Sign. This charming rustic metal welcome sign features a realistic pine cone bough which holds a metal welcome sign. A great addition to your cabin or lodge style log home. 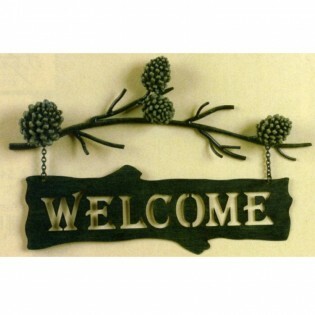 This rustic welcome sign measures 11" high x 15" wide.